The CAR has been mired by sectarian conflict between the Muslim Seleka rebels and Christian anti-balaka forces since the Seleka seized power in late 2012. Bensouda said that her office has collected enough information to form a reasonable basis to believe that both the Seleka and anti-balaka forces have committed alleged crimes against humanity and war crimes. The CAR transitional government referred the situation to the ICC in May 2014. Human Rights Watch (HRW) and the International Federation for Human Rights (FIDH) each welcomed the prosecutor’s decision, calling on all parties to the conflict to be held accountable and for the CAR government to cooperate fully with the ICC. 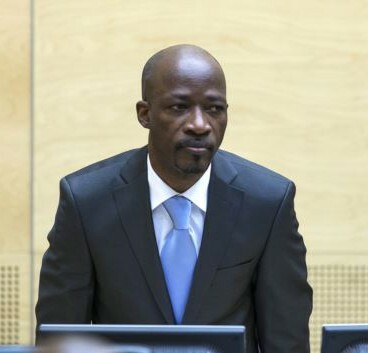 On Monday, 29 September, ICC judges will convene a confirmation of charges hearing to decide whether the case against Charles Blé Goudé will go to trial. Blé Goudé, the former leader of the the Young Patriots, the youth wing of the political movement of former Côte d’Ivoire president Laurent Gbagbo, is charged with four counts of crimes against humanity. HRW said that the hearing should remind other senior officials that they cannot escape justice, but noted that the ICC must pursue justice for crimes allegedly committed by current Ivorian President Alassane Ouattara’s allies as well. Four senior generals quit the Seleka rebel group. 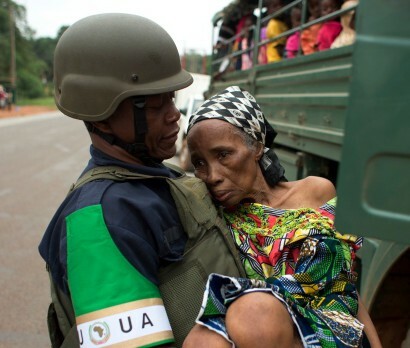 French troops arrested a senior member of the anti-balaka forces. Judges summoned Kenyan President Uhuru Kenyatta to appear at an 8 October conference to discuss the Kenyan government cooperation with the prosecution. Kenyatta’s counsel requested that he be excused from attending the hearing in order to attend the East African Community Northern Corridor Infrastructure Summit in Uganda, or that the hearing be postponed and Kenyatta allowed to participate via video link. Jubilee MPs will meet to discuss the summons, as a number of politicians have called on Kenyatta not to appear in person at the ICC. However, the Kenyan Senate minority leader asked Kenyatta to honor the ICC summons, and a Daily Nation columnist argued that Kenyatta has nothing to gain by ignoring the summons. The Star editorial argued that Kenyatta should go to the ICC in order to demonstrate his respect for rule of law. Meanwhile, the Star reported that letters between the ICC prosecutor’s office and Kenyan government show that Kenya’s attorney general declined to facilitate a meeting between prosecutors and two Kenyan banks. 154 people were admitted as victims in the Kenyatta case. A witness told ICC judges that two men told him what to tell ICC prosecutors about Kenyan Deputy President William Ruto and Joshua Sang. The two men, who the witness testified were not from the prosecutor’s office, promised that his family would be relocated and his children’s education paid for. Ruto’s defense counsel provided evidence supporting a witness’ claim that events he claimed happened in recanted testimony had actually never occurred. The defense counsel of Ruto and Sang also rejected a witness’ testimony that prosecutors had prepared his statement for him. A group of Kenyan MPs called on the ICC prosecutor to drop the cases against Kenyatta and Ruto. Walter Barasa’s appeal against his extradition was delayed. FIDH called for justice for the repression of protests throughout Sudan one year ago, and HRW urged the UN Human Rights Council to call on Sudan to hold those responsible to account. Darfur civil society groups accused the Sudanese government of being responsible for the escalation of tribal violence in the region. Meanwhile, rival tribes met for peace talks in North Darfur. Women’s Initiatives for Gender Justice published the September issue of Legal Eye on the ICC, which focuses on the Bosco Ntaganda case. HRW warned that a recent series of assassinations in Benghazi could be considered crimes against humanity. Two civilians were killed by a landmine in northern Mali. Ivoire Justice interviewed a woman who says Charles Blé Goudé is primarily responsible for the death of her son during the 2010 post-election violence in Côte d’Ivoire (in French). Colombia’s president told Human Rights Watch that extrajudicial killings allegedly committed by the military will not be tried in military courts. The ICC prosecutor issued a statement on the fifth anniversary of the September 2009 Conakry stadium massacre, encouraging Guinea to continue making progress in bringing those responsible for alleged crimes to justice. A Nigerian anti-corruption coalition called for an ICC investigation into allegations that former Nigeria government officials sponsored the Boko Haram. Nigeria’s military said that it killed a man posing as the leader of the Boko Haram. Military officials also said that hundreds of Boko Haram fighters have surrendered in Nigeria and Cameroon. At least 36 people were killed in a Boko Haram attack in northeast Nigeria. Parliamentarians for Global Action welcomed the ratification of the Kampala amendments to the Rome Statute by Latvia, Poland and Spain. The Human Rights Agenda Association’s Gunal Kursun called on Turkey to join the ICC in a Today’s Zaman op-ed. At the UN Human Rights Council, HRW urged Palestine to grant jurisdiction to the ICC. Palestinian President Mahmoud Abbas said that he will soon decide whether to go to the Court. The Ukrainian Cabinet ordered the Ministry of Foreign Affairs and the Ministry of Justice to prepare to ratify the Rome Statute by 2016. Bahrainrefused a recommendation to join the ICC made by members of the Human Rights Council. Lawyers who have represented victims at the ICC, including the International Justice Project’s Raymond Brown, expressed concern at the trend of assigning representatives to victims, rather than allowing them to choose their own. FIDH urged all parties to the conflict in Syria to respect international law. HRW welcomed Belgium’s arrest of a Liberian accused of alleged war crimes and crimes against humanity. No Peace Without Justice’s Emma Bonino welcomed the selection of Senegal’s justice minister as the next ASP president. Western governments met to discuss strategies for bringing perpetrators of alleged atrocities in Syria and Iraq to justice. A legal expert told the Jerusalem Post that the ICC’s lack of involvement in past cases indicates that it might pass on investigating alleged Israeli crimes. The ICC had over 750 visitors on Hague International Day. Israeli human rights groups criticized the Israeli army’s inquiries into crimes allegedly committed during the recent conflict in Gaza. Former ICC Prosecutor Luis Moreno Ocampo said that the ICC needs to hire more investigators and that a lack of cooperation from governments has hampered the Court.